LaVall Jordan, pictured left, stands on the sideline. Photo from MichiganDaily.com. 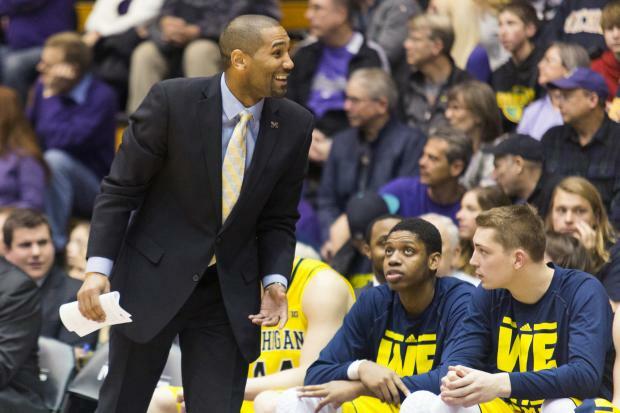 Milwaukee head coach LaVall Jordan has been announced as the new head coach for the Butler University men’s basketball team, Butler Athletics announced June 12. ESPN and the Indianapolis Star reported that Jordan will be signed on for six years. A press conference is scheduled for Wednesday. The search has been ongoing for three days following the news of former head coach Chris Holtmann’s acceptance of the same position at Ohio State. Jordan, who has played and coached at Butler in past years, said this position is one that he has always wanted. In fact, he interviewed for the same position after Brad Stevens left in 2013 but was passed up. Jordan is Butler’s fourth head coach in six seasons and is the first African-American to lead a men’s sport at the university. Other candidates considered for the job were current assistant coaches Terry Johnson and Ryan Pedon and Boston Celtics assistant coach Micah Shrewsberry. Current assistant coach Mike Schrage was not considered a formal candidate, having already accepted an assistant coaching position with Holtmann’s developing coaching staff at Ohio State. Jordan spent last season as the head coach for the University of Wisconsin-Milwaukee men’s basketball team, posting an 11-24 record. His team made it to the championship of the Horizon League Tournament before losing to Northern Kentucky in the final game. Before Milwaukee, Jordan was an assistant at the University of Michigan for six seasons. The team advanced to the NCAA Tournament each year, appeared in the Elite Eight in 2014 and the National Championship in 2013. Prior to that, Jordan was a member of Todd Lickliter’s Butler coaching staff for four years before following him to the University of Iowa in 2007. During that time he helped guide the team to Horizon League championship and a Sweet Sixteen appearance. From 1998 to 2001, Jordan played for Butler under the leadership of Collier and Thad Matta and helped lead them to three Midwestern Collegiate Conference (now Horizon League) tournament titles and two regular-season championships. The team also made four consecutive postseason appearances during that time: three NCAA tournaments and one NIT. The Indianapolis Star reported that if Pedon or Johnson was not promoted to head coach, they would end up following Holtmann to Ohio State just as Schrage did. The Butler Collegian will continue to update this story as more information becomes available.